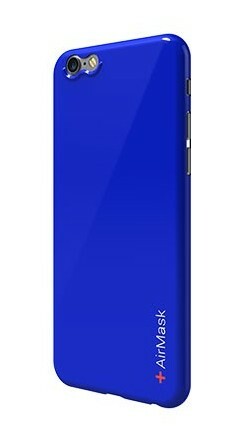 Are you looking for a way to give your iPhone a bit of extra protection and a different look, but don’t like a bulky case, then AirMask’s AirMask Colors instant mobile makeover kit for the iPhone 6 (and 6 Plus) may be just what you are looking for. It is a thin, two-piece screen protector and scratch-resistant outer shell which safely adheres to your iPhone, enveloping it in an extra layer of protection , and giving it a completely new colorful look. The AirMask Color is easy to apply thanks to its special 3-D adhesive shell design which virtually eliminates screen misalignment and air bubbles. This neat looking case alternative offers better grip (over the naked iPhone) as well as “protection against mild drops, dings and scratches from day-to-day usage” this thin shield (0.35mm in thickness and weighs only 10 grams). The new AirMask Colors protective shell for the iPhone 6 and iPhone 6 Plus are currently available via the company’s website (www.goairmask.com) as well as through authorized distributors in retail and online locations for $25.99 and $29.99 respectively. AirMask Installation video (English version) from AirMask on Vimeo. How’d you like a Free AirMask Color for the iPhone 6? We’ve been given a sapphire blue AirMask Colors Instant Mobile Makeover Kit for the iPhone 6 to reward to one lucky reader. If this looks like something you’d be interested in for your iPhone 6, then you can enter our giveaway using the Rafflecopter form below.